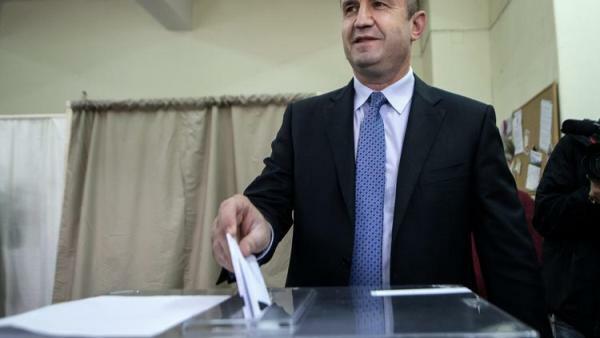 The first official partial results of the first round of Sunday’s presidential election confirmed the victory of Rumen Radev, an independent supported by the socialist opposition, as reported Monday The Central Electoral Commission. After counting 44.47% vote, Radev, former commander of the Air Force, has been in first place with 25.93% of the ballots, followed by Tzetzka Tsacheva government candidate Citizens for European Development of Bulgaria (GERB) and current president of Parliament, with 21.56%. Since no candidate has obtained the simple majority needed to be named by the Head of State, Radev and Tsacheva will meet again next Sunday, November 13, in the second round of the elections. The participation was 45.11% when missing three hours to the closing of polling stations, according to the latest data supplied by the Commission, while two polls on foot of urn code figure between 54.9 and 57.1%. The partial result has opened a broad political discussion about a possible fall of the government of Prime Minister Boiko Borisov, since this charismatic populist leader says that he will step down if do not win his candidate, although only to return to win in possible early parliamentary elections. The head of government is optimistic in stating that his party is in top form as the first political force. Since 2009, Borisov’s GERB dominates the Bulgarian politics, where controls the executive branch and the Presidency with the outgoing head of state, Rossen Plevneliev. “We have all the possibilities and opportunities to win in the second round. If we fail next Sunday, we resign Monday and going to early general elections. If we win, then the government will be stable”, said the president. The current ruling coalition is formed by GERB, the rightist reformist block and nationalist Patriotic Front, each one with their own candidate for the Presidency and with constant friction since arrived to the power to end of 2014. An early election would open a new period of political uncertainty in the country, as occurred after social protests that led to the fall of the first government of Borisov in 2013 and a weak later technical cabinet, until the elections of the following year.